If the answer is no, then sometimes you have a fight on your hands. Here are three things to do when your child argues for screen time. Parents bring freedom when they are confident in their guidance. A child naturally wants boundaries, even if they complain about them. A parent knows when a child is overindulging in screen time. They know when there is too much “computer” going on, too much gaming, too many videos or movies, or too much T.V. and way too much time thinking about the next time they get it. Mom and Dad get to the point when they are tired of their child’s deal-making, coaxing, pleading, negotiating, and even reward-bent cooperation. Sometimes for peace-sake, and for greater compliance and performance, a parent will set up rewards and punishment around screen access. This creates a new cycle of entitlement and conflict. What can be done? 1. Replace screen time with family time. Create activities such as reading aloud, board gaming, camping, swimming, walking, singing, dancing…whatever brings joy or should bring joy to your family. Make it happen. At first there may be resistance, especially if there is a struggle with screen addiction. Still, make it happen. If parents are overly tied to their devices, this may take some concerted effort and discipline. Be sure to schedule specific times for alternative activities to better guarantee it will happen with regularity. The fruits of one-to-one , relational, time together, building the love-bond is marvellous! Do make it happen. 2. Screen time is a gift. This is important. Don’t miss this one. It reframes the way that you are currently using screen time. Pay attention here. Make it a random gift. Instead of guaranteeing computer time, for example,Saturday afternoon 1 – 3PM), don’t make any arrangements with children. They should not earn or gain screen time of their own accord. This creates a false attachment and anticipation of screen time. Choose instead to surprise your child randomly with a gift of screen time. “Alan, I’m giving you a gift this morning. Why don’t you take 1/2 hour on your favourite game? I’ve made some popcorn too!” This creates great appreciation rather than an attitude of entitlement. Treat screen time as similar to when you make a favourite dessert or when surprise your child with a trip to the park. Experiencing screen opportunities as unpredictable and out-of-the blue, will enable your child to forget about it and lessen focus on access to it. 3. 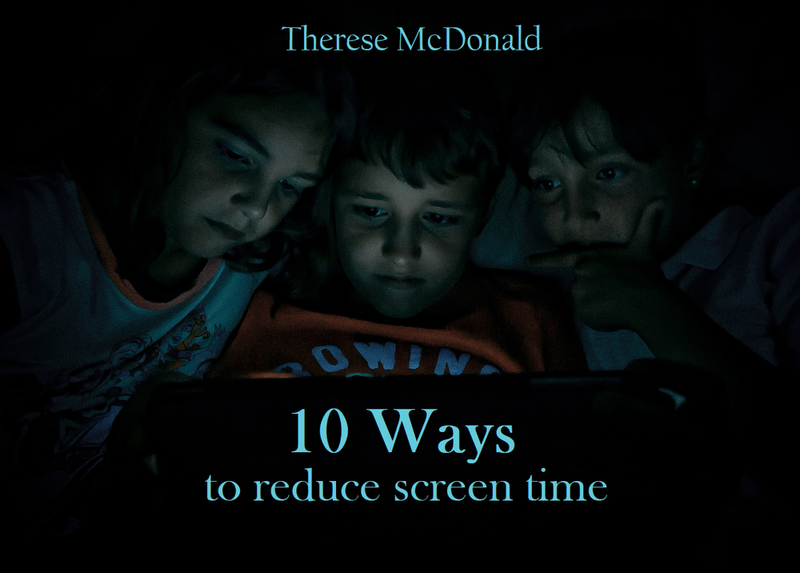 Inform yourself and your child with the facts of screen time usage. Learn about how it rewires the human brain and produces responses that are comparable to drug usage. Share with your children the impact on health, fitness, focus, ambition, initiative, faith, etc. helps them understand and buy into a balanced life style. You are in charge, you are the anchor, you are the source of good formation in your children and the one to set boundaries that lead to joy, a peaceful home, and freedom to live life more fully. Unplug and make your phone, your laptop, your tablet, your TV, your screens, your slaves. Be the master. Not sure if your tech addiction is an issue in your home? Check out my article on 9 signs and symptoms of Tech Addiction.